Ion-Exchange NH2 SPE Cartridges are silica-based sorbent bonded to the aminopropyl functional group. 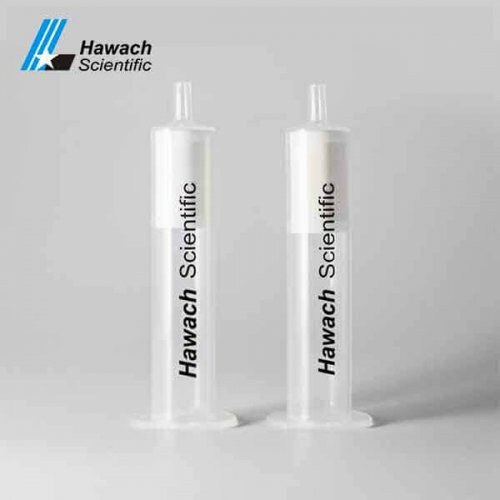 Ion-Exchange NH2 SPE Cartridges have weaker anion exchanger than Sax, through weak anion exchange (aqueous solution) or polarity adsorption (non-polar organic solution) to reach the effect, therefore has a dual role. 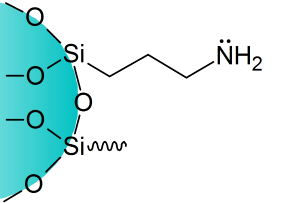 NH2 seems like Diol and SI sorbent, good for Isomers. 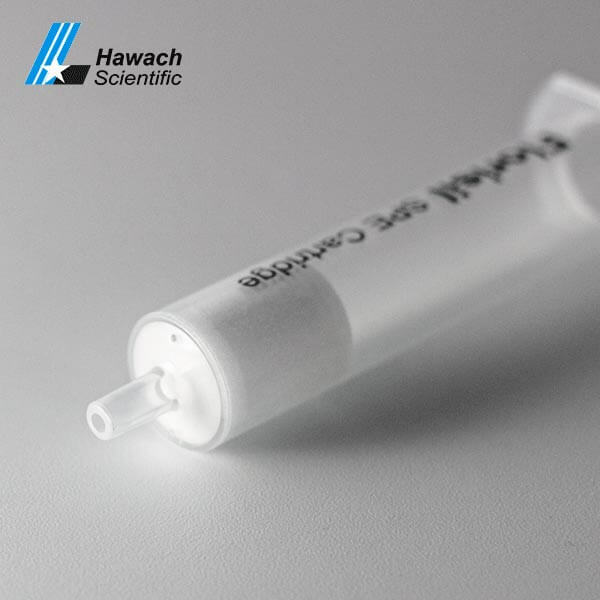 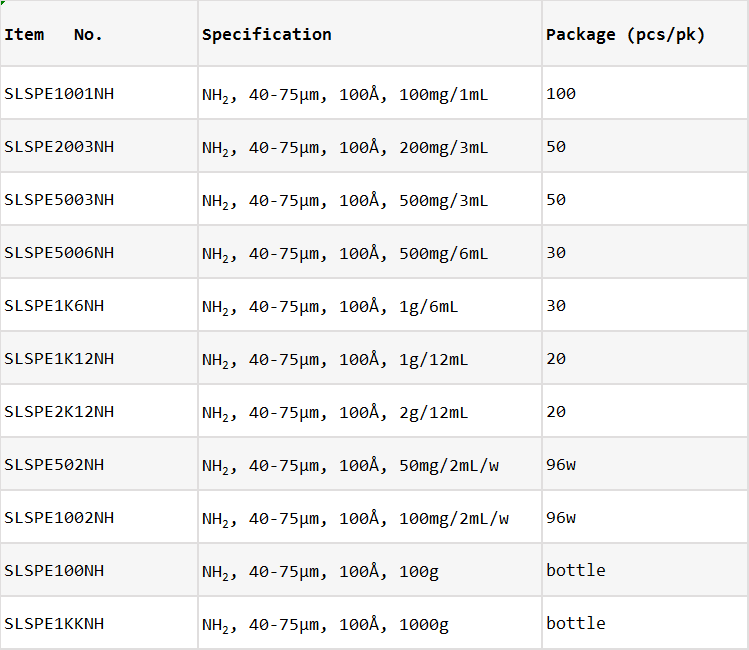 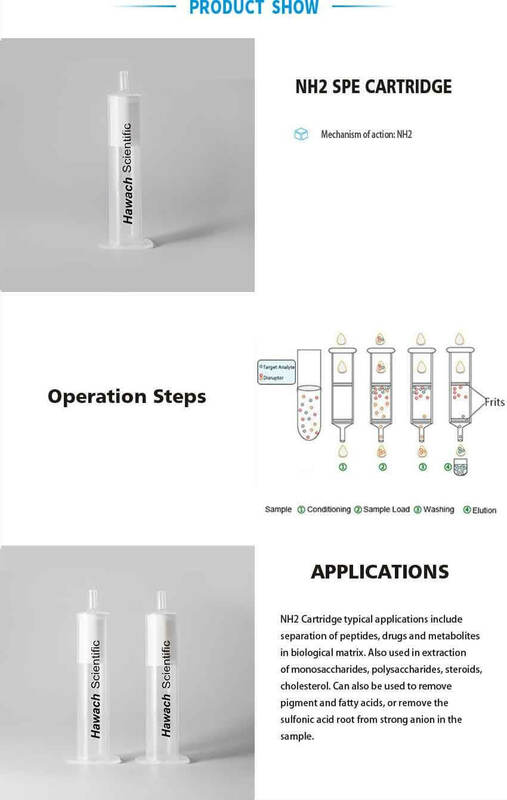 Ion-exchange NH2 SPE cartridges typical applications usually for the separation of peptides, drugs, and metabolites in the biological matrix. It Also can be used in the extraction of monosaccharides, polysaccharides, steroids, cholesterol. 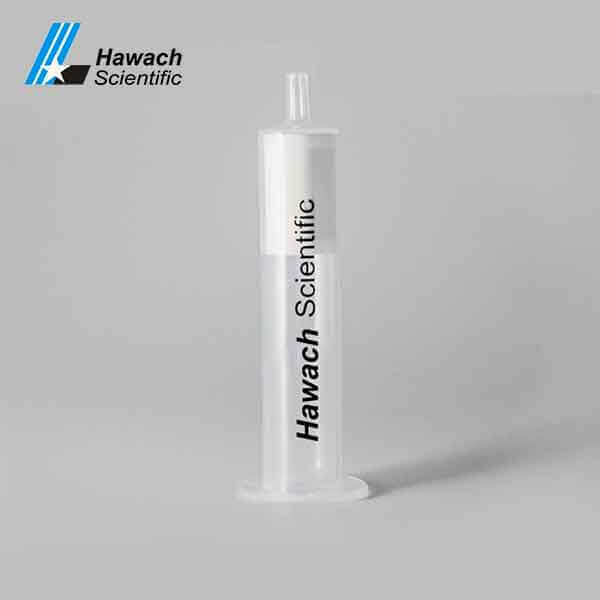 And so on all different of application, it could remove pigment and fatty acids, or remove the sulfonic acid root.